Planning your Tokyo itinerary? Don't forget to visit Mt. Fuji and Hakone! I’ve been to Japan twice. The first time was when we visited Nagoya in 2015 and then again in 2016 when we had a wonderful trip in Osaka and Kyoto. But I've never been to Tokyo. So, I promised myself that one day, I will visit this amazing city that many of my friends have been telling me to visit. That is why, when I was given the chance to visit Japan again last month, I quickly booked a flight to Tokyo and planned our trip. Yey! 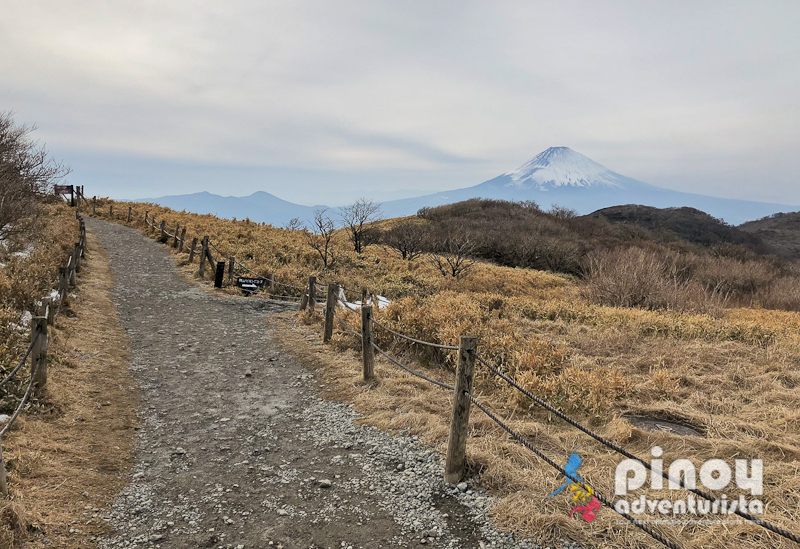 As most people would recommend, if there is one landmark in Tokyo you shouldn't miss - that would definitely the Mount Fuji. And we're so excited for this trip because we included it in our Tokyo itinerary! We'll be seeing Mt. Fuji up close. Yey! For ease and convenience, me and my friend decided to avail a packaged day tour to Mt. Fuji and Hakone. 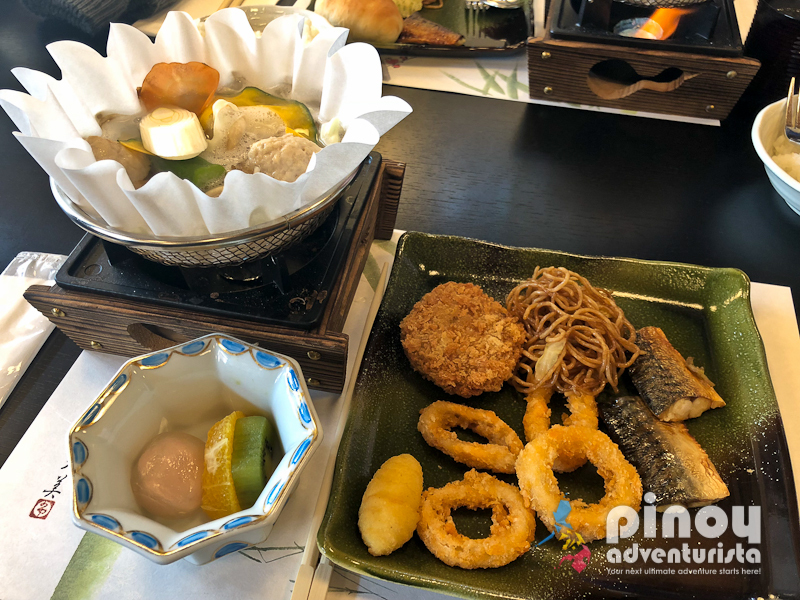 The packaged tour also includes transportation from Tokyo, lunch buffet, English-speaking guide, free unlimited WiFi onboard, and transportation back to Tokyo. And we’re just grateful that we decided to get a packaged tour from Klook.com because it is indeed convenient and hassle-free. Mt. 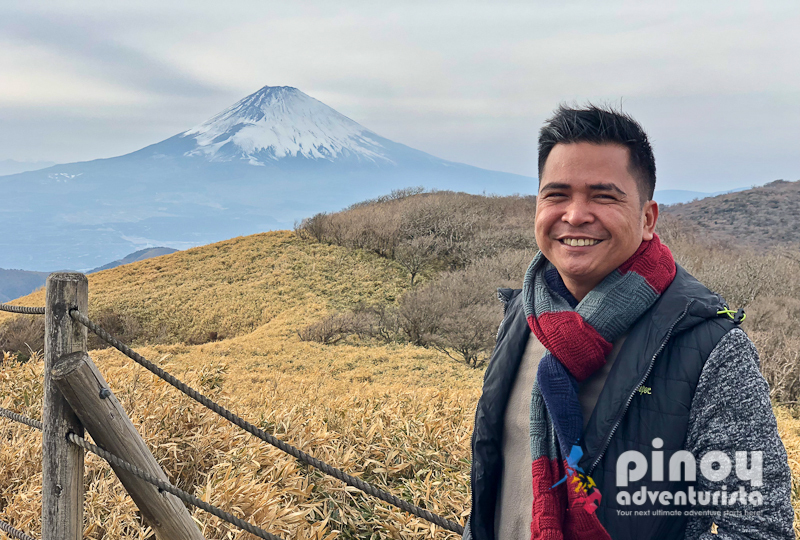 Fuji is an iconic landmark in Japan. 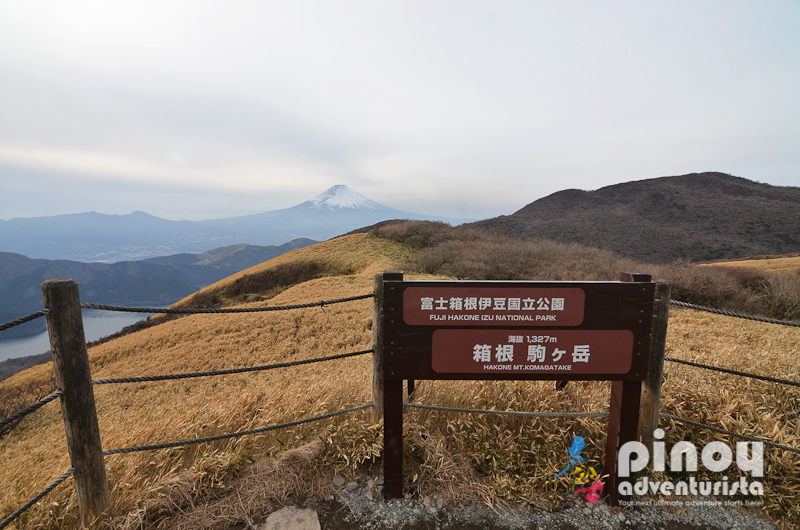 Commonly called "Fuji-san," it is an active volcano located about 100 kilometers southwest of the city of Tokyo. 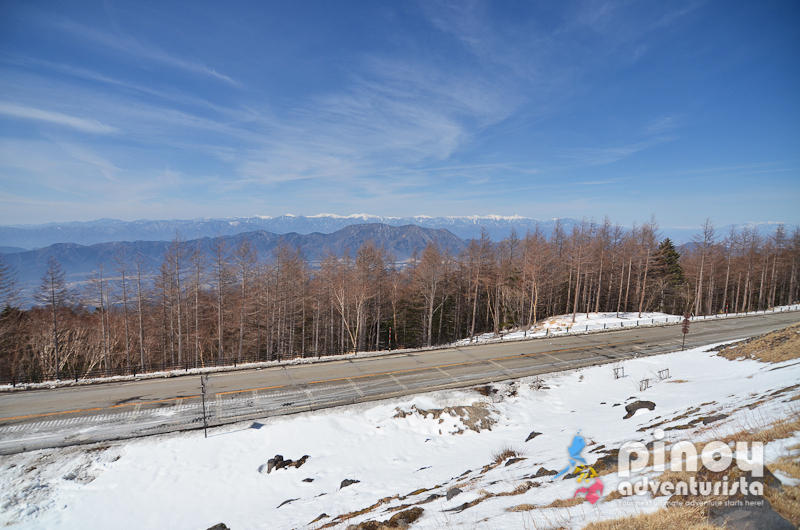 Standing at 3,776 meters above sea level, it is considered as the tallest peak in Japan. 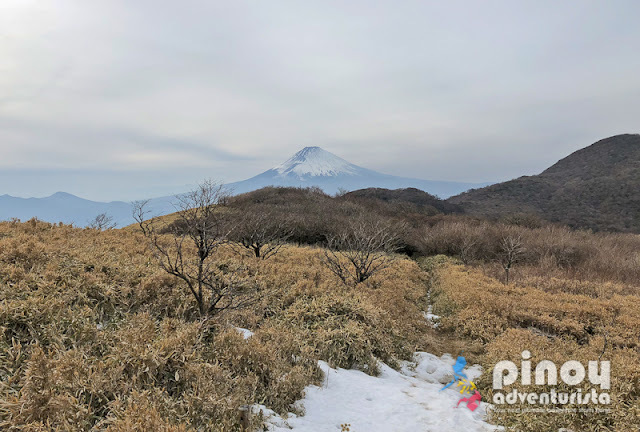 As one of Japan's 3 sacred mountains and a pigrimage site, hiking its summit is considered as one of the popular activities at Mt. Fuji. But for tourists and for those who just want to see it up close, a Mt. 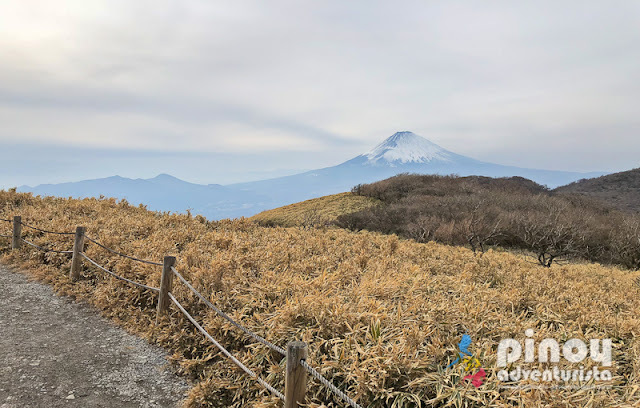 Fuji day tour is good enough to be mesmerized by its beauty and unique charm. The trip to Mt. Fuji takes about 3 hours, with bathroom breaks in between. 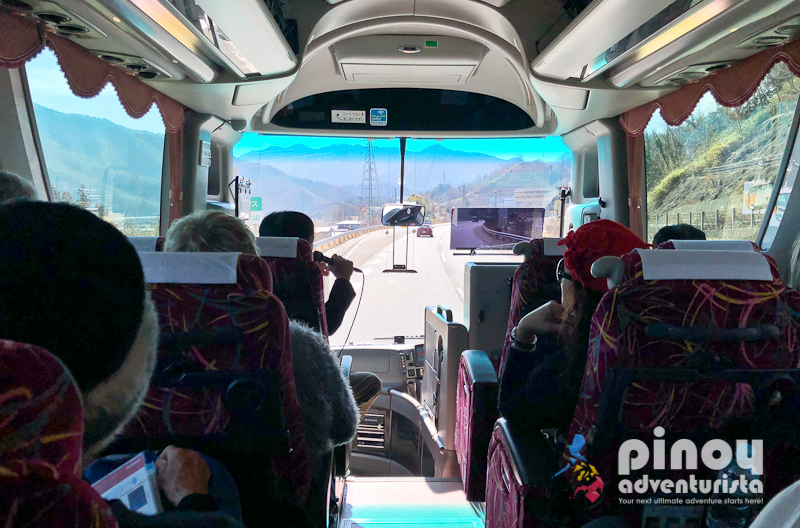 But the trip wasn't boring at all, because our tour guide named Hiro kept up entertained as we travel while he shares some facts about Mt. Fuji. The chartered bus is also comfortable which made the long drive less dreadful. The best thing is also catching the stunning views outside. And seeing Mt. 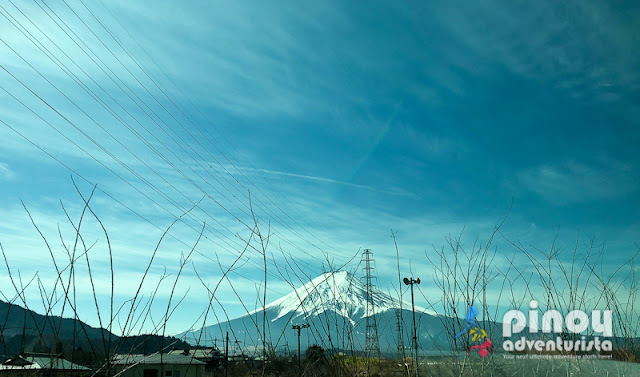 Fuji from time to time peeking from the mountain ranges, makes me really excited! 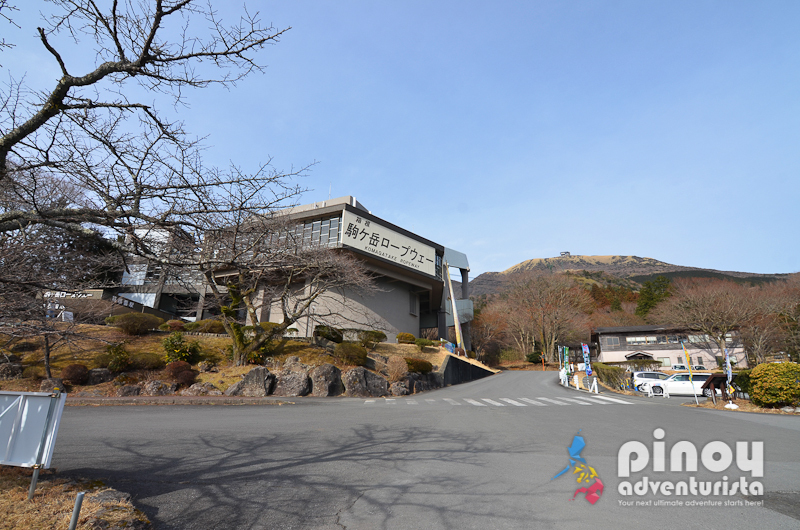 Our itinerary is a visit to Mt. Fuji's 5th station at an elevation of 2,300 meters. But since there was an avalanche warning during our visit, we only got to reach the mountain's 4th station at an elevation of 2,020 meters above sea level. But it's still good! At least, we got to climb it. In some cases, tourists are not allowed to get in due to bad weather. We're still lucky to go up to the 4th station. 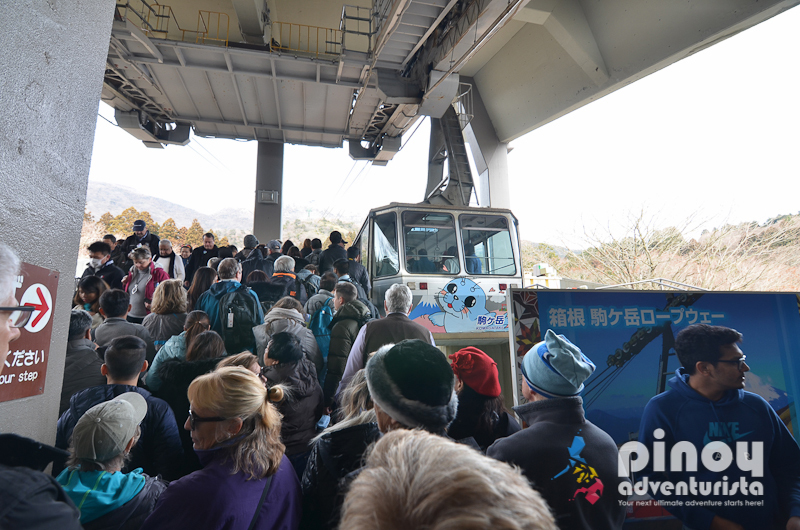 At the 4th station, we got to see breathtaking views of the mountains covered with snow! It's really amazing! 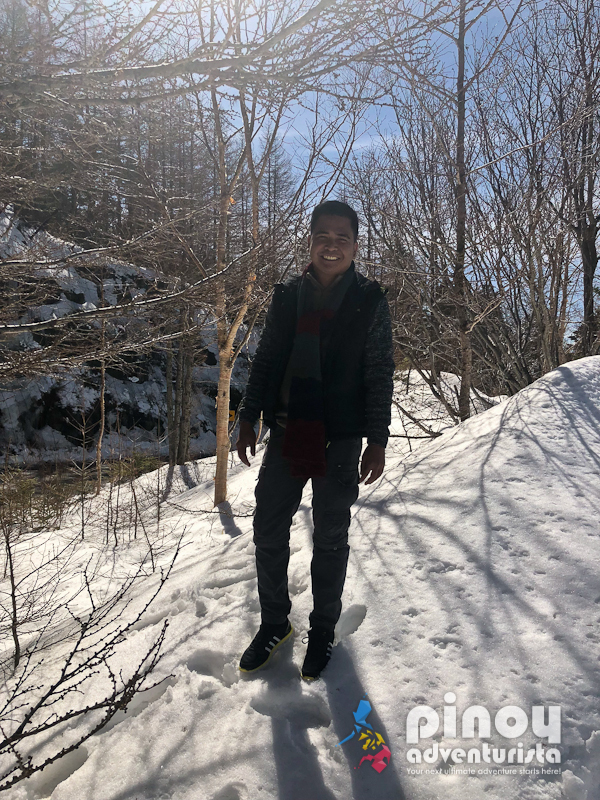 Since this is my first time to see snow, I am so delighted and played with them! 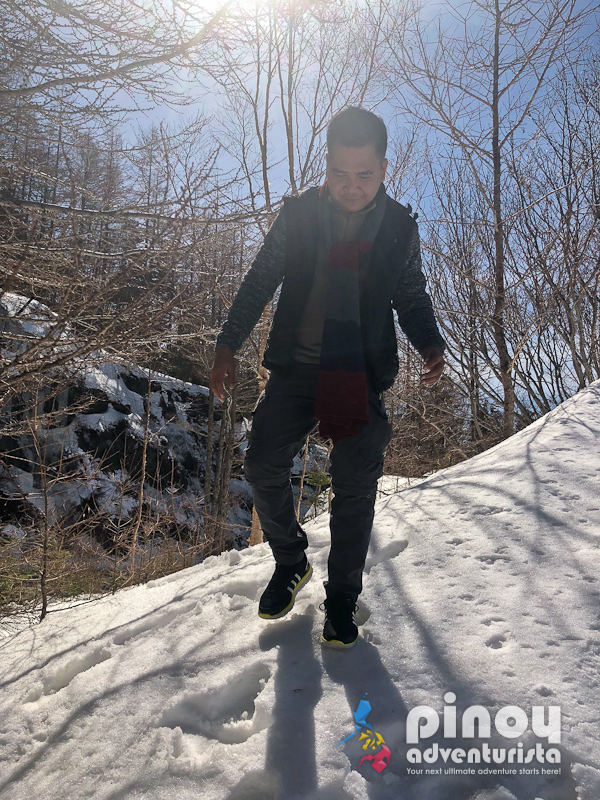 I've been wanting to experience winter and see snow. And this is definitely a dream come true for me! After about 30 minutes, we boarded the bus again, went down from Mt. Fuji and proceeded to a restaurant for our buffet lunch. 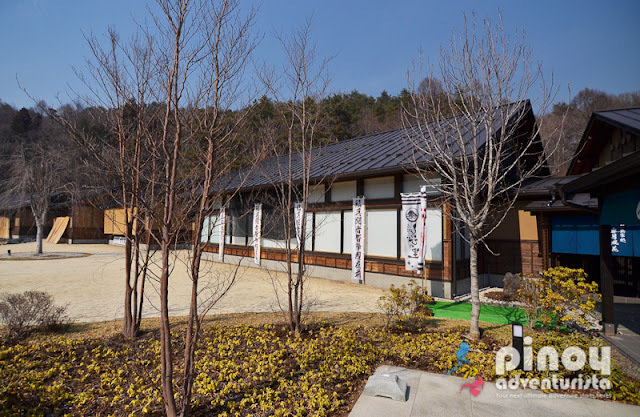 It is already included in the package tour, so you don't have to shell out extra money for lunch. The lunch was superb and we were really full after. 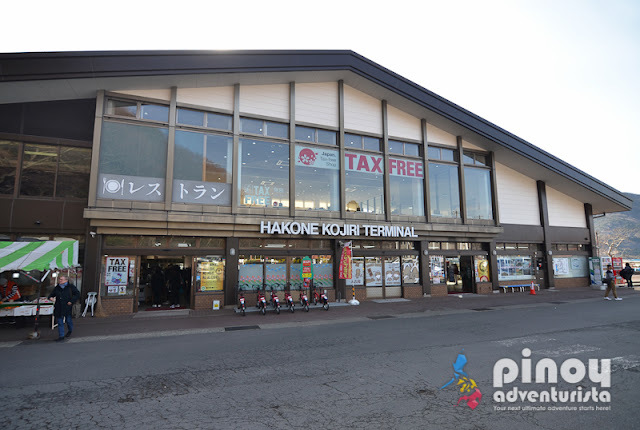 After our lunch, we traveled to Hakone and went to Hakone Kojiri Terminal where we took a ship or ferry that cruises along Lake Ashi. Don't miss going to the top-most part of the ship as the views there are really amazing. After about 30 minutes, we reached the station where we took the Mt. 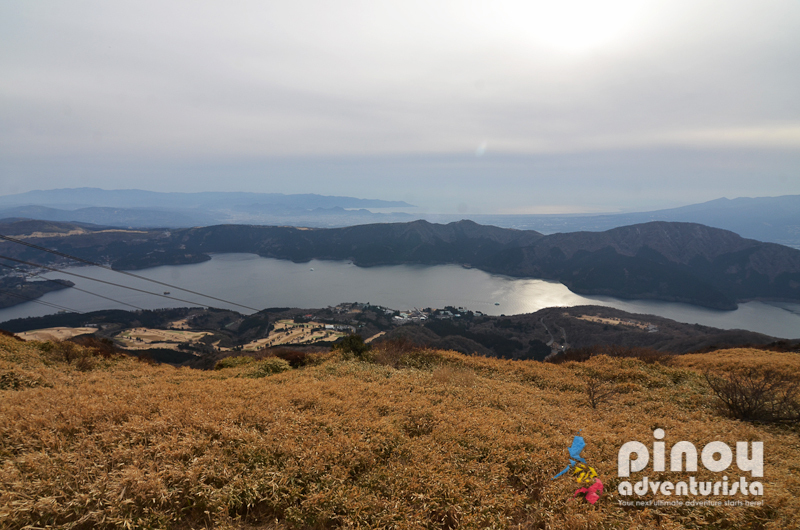 Komagatake Ropeway going up to the Fuji Hakone Isu National Park with an elevation of 1,327 meter above sea level. The gondola is full and crowded with tourists wanting to go up. But it's okay, the view from the outside is truly amazing and I really didn't mind the crowded gondola. The summit of Mt. Komagatake offers a magnificent view of Mt. Fuji and Lash Ashi. The view from the top is really amazing! It's winter and it's so windy and cold. I loved it! 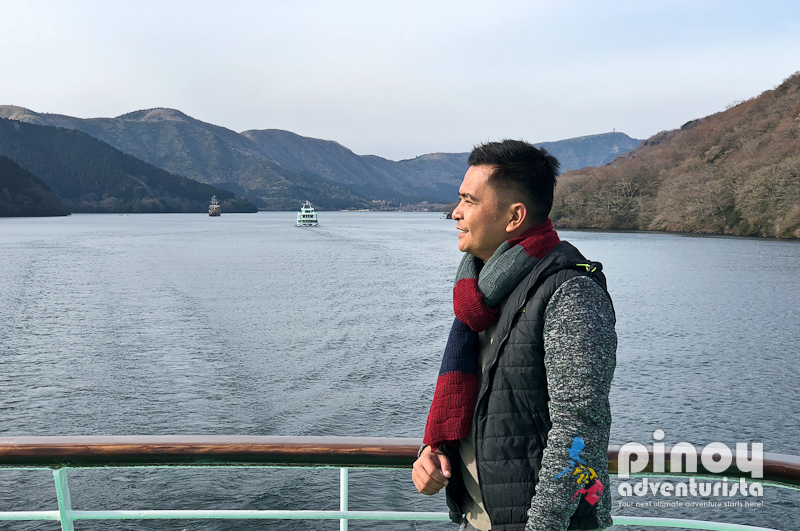 Prepare to be swept away by the mezmerizing ambiance of Japan's natural and amazing beauty wherever you look at! The view of Mt. Fuji and Lake Ashi from here are really stunning! Let these photos speak for itself. 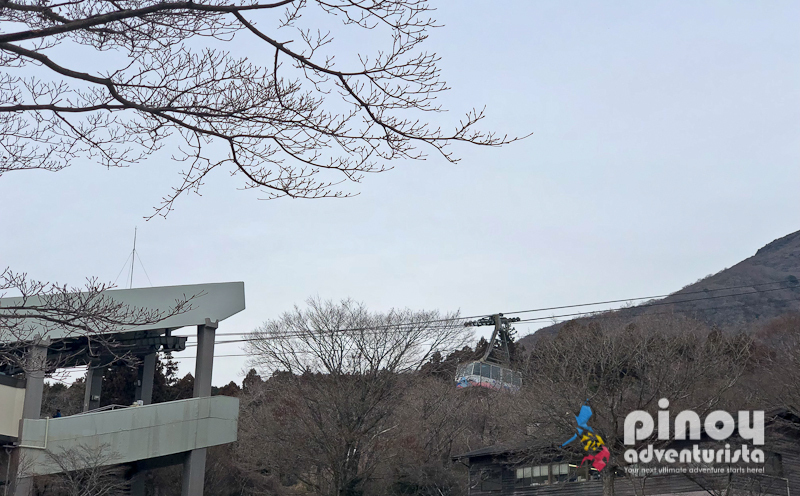 After spending about 30-40 minutes just appreciating the awesome view, we then went down riding the ropeway, rode the bus and traveled back to Tokyo. 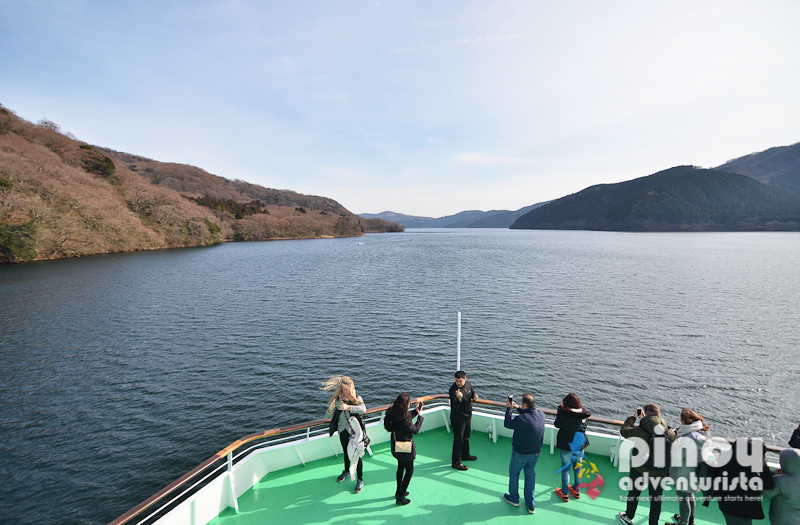 Some of the tourists who were on our group tour decided to stay in Hakone. If you also plan to explore more of what Hakone has to offer, you may refer to this DIY Hakone itinerary using the Hakone Freepass. Overall, it was an amazing and memorable experience. I highly recommend this Mt. 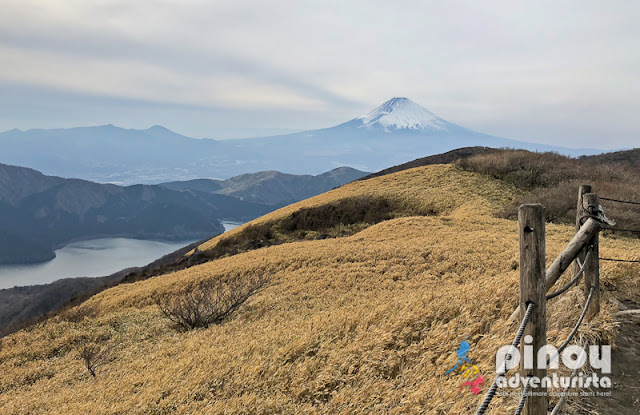 Fuji and Hakone Day Trip to anyone who wants to see Mt. Fuji up close. It's comfortable, organized, and convenient. Joining a group tour, you can reach your destination without any hassle or the need to figure out how to get there. This is also an ideal tour if you're traveling with children and senior citizens. Book a Mt. 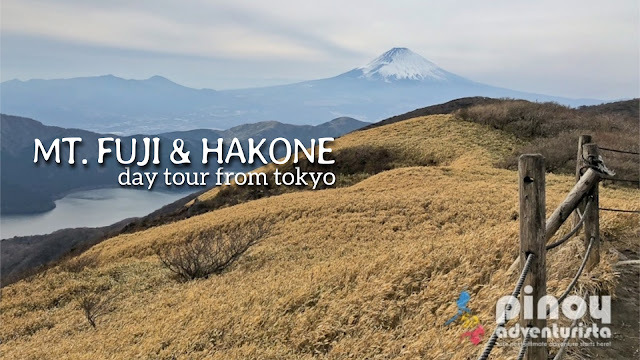 Fuji and Hakone Day Tour! For ease and convenience, I highly recommend that you book your Mt. Fuji and Hakone Day Tour via Klook.com. 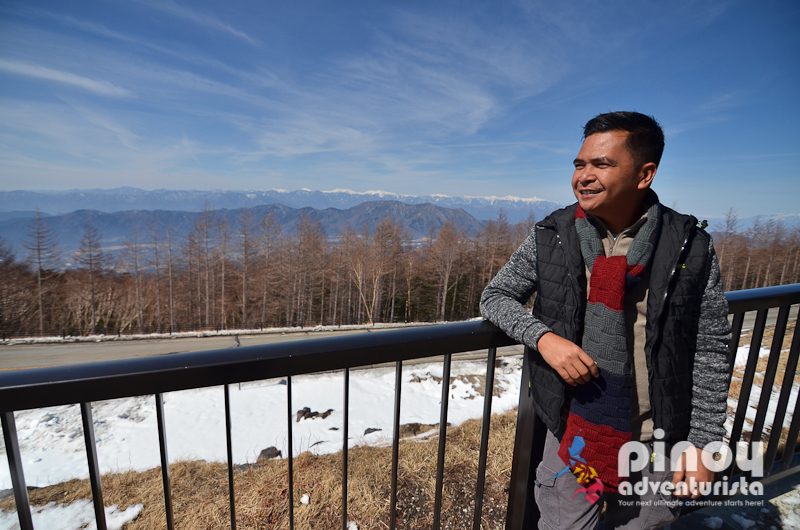 With this packaged tour, all you need to do is sit back, relax, and enjoy your trip to Mt. Fuji and Hakone. You don't have to worry getting lost, how to get there, and where to eat - because everything is well-covered. Tokyo Subway Ticket for unlimited subway ride to get to Tokyo's famous tourist spots and attractions. Japan Rail Pass for 7 days unlimited travel around Japan including bullet trains! Local airlines such Cebu Pacific Air, Philippine Airlines, and Air Asia Philippines, and other international airlines have daily flights from Manila to Tokyo (Narita and Haneda), Osaka, and Nagoya, Japan. 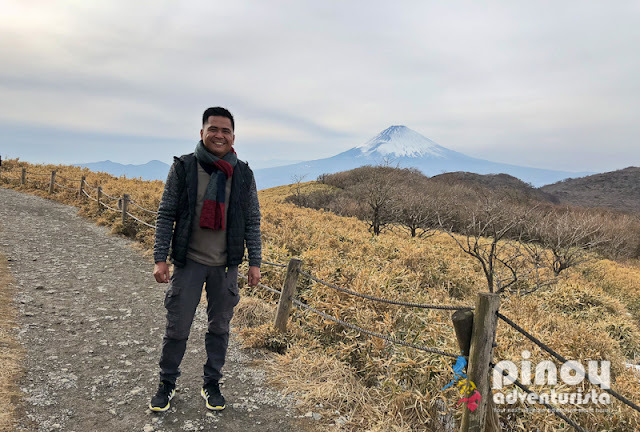 To search for cheap flights to Japan, I highly recommend booking via Traveloka.com - one of Southeast Asia's leading travel booking sites. I've been using it in my travels and I can assure you that you'll always get the best deals and promos on flights! And don't forget to use their weekly promo codes to get more discounts!